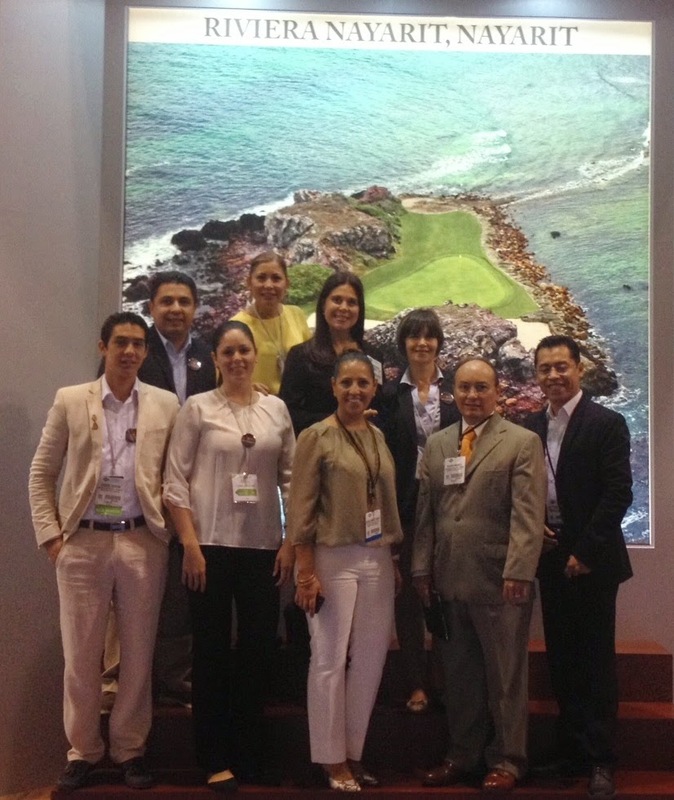 This June the Riviera Nayarit Convention and Visitors Bureau participated in two events focusing on the meetings market both on a domestic and an international level, working together with hotels and its sister bureau from Puerto Vallarta. The meetings market is very important for the Riviera Nayarit, as it generates income on different levels as a result of the many professional and incentive events in the destination. Both events resulted in over 200 one-on-one business meetings between exhibitors and buyers. The promotional work began on the first day of the month with the Meeting Place Mexico (MPM) event held in the state of Morelos, where a total of 125 business meetings with domestic meeting planners and corporate representatives took place. The Riviera Nayarit Convention and Visitors Bureau (CVB) and the destination’s hotels showcased the variety of products and services the destination can offer this type of market. The second event was held in Orlando Florida, during the American Incentive, Business Travel & Meetings Exhibition (AIBTM) from June 10 – 12. This expo was attended in coordination with the Puerto Vallarta Convention and Visitors Bureau (CVB), where eight work agendas came together between the destinations and their hotels. There were a total of 90 business meetings held in the United States, all focused on promoting the meetings market. Both events have generated quotes for groups mainly towards the end of 2015 and 2016; there are hopes for an increase in hotel occupancy in the medium term. The effort put forth by the Riviera Nayarit and Puerto Vallarta has reverberated in a positive manner among providers and corporate buyers and associates in the United States, Europe and Latin America.